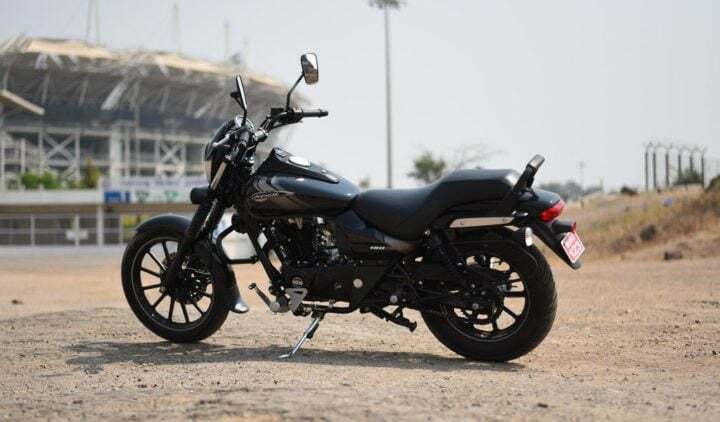 Check out the mileage, price, images and top speed of the 2018 Bajaj Avenger Street 180. Currently, the cheapest cruiser in the Indian market retails at Rs 85,997 (Ex-showroom Delhi). Thanks to its frugal engine, it is popular also because of its decent mileage figures. Read ahead to know more. When people think of buying their first cruiser, it is either Royal Enfield or Bajaj Avenger. These two bikes have set a benchmark in this market that no cruiser can ever disturb. Now, in this case, we take the 2018 Bajaj Avenger Street 180. Unlike the usual chrome inserts and plain body of the earlier Avenger, the Street version gets a ruthless color scheme. It gets matte colors with heavy decals and black inserts over the body. Black engine, Black exhaust, Black alloys and much more. The latest version gets a revised seat, a smaller cowl, LED DRLs, alloy wheels, a new grab rail, matte black exhaust pipes and Aluminum finished heat shield. Now, coming to its price, it is the cheapest cruiser out there. Street 180 retails at a price of Rs 85,997 (ex-showroom Delhi). 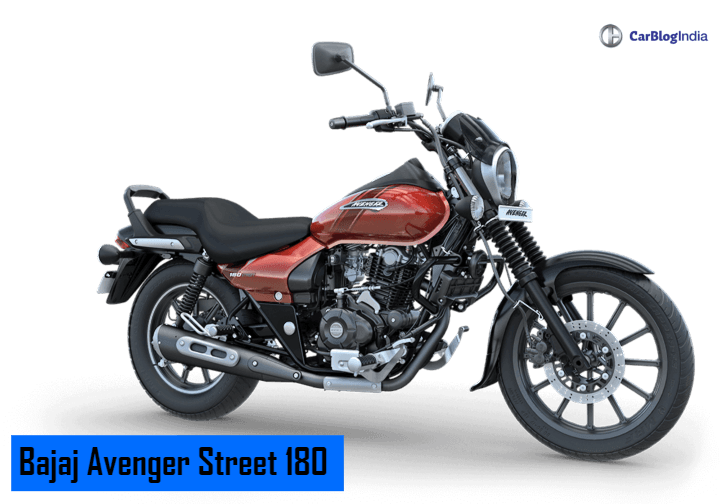 Anyhow, check out the mileage, specs, images, and colors of the Avenger Street 180. Bajaj has launched the 2018 Avenger Street 180 at an ex-showroom price of INR 85,997. This makes this bike stand amongst the cheapest cruiser bikes which are currently on sale in India. This price makes it cheaper by around Rs 15,000 than its nearest rival, the Suzuki Intruder. A single cylinder, 180 cc engine powers the new Avenger Street 180. The power output of this motor stands at 15.2 BHP along with the torque of 13.7 NM. The engine uses oil-cooled technology. This engine is paired with a 5-speed manual gearbox. Also Read: Bajaj Likely to Launch Avenger 400 by December 2018? The cruiser is powered by the same 180 cc engine found on the Pulsar. The oil-cooled engine gives a mileage figure of 45 KMPL on highways and around 40 KMPL in the city. It gets a fuel tank capacity of 13 Litres and a reserve capacity of 3.8 Litres. The riding range of this bike on a full tank is around 700 Kms. 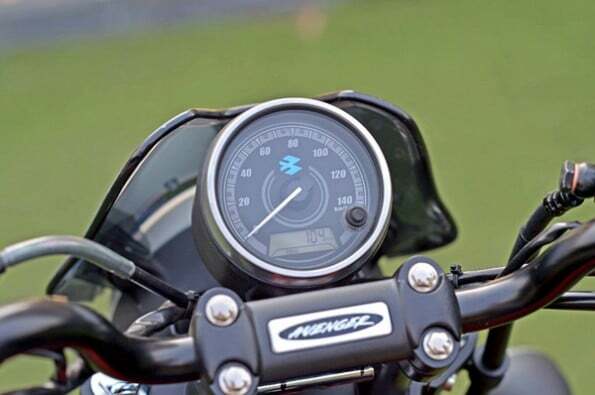 The claimed top-speed of this bike is around 110 KMPH. The new Avenger Street 180 measures 2210 mm in length, 806 mm in width and 1070 mm in height. The wheelbase of this cruiser stands at 1480 mm. while the ground clearance at 169 mm. The kerb weight of the cruiser is around 150 Kgs. The cruiser is built on a Tubular double cradle chassis. In the front, it uses telescopic suspension and in the rear, it uses twin suspension. The front wheel uses 260mm disc brakes and the rear wheels use 130 mm drum brakes. In its aesthetics, the Avenger Street 180 rembles quite a lot to the 150 and 220. That said, the additional chrome and new body graphics lend the cruiser its own distinctive profile. Additional new features include a high-set handlebar, newly designed fuel and revised seats with better cushioning. The all-black treatment given to the cruiser gives it a sporty appeal. In the front, it gets black alloys with front disc brake. The headlamp cowl is a little smaller which stacks the new LED DRLs. As earlier, it gets the fuel reading on the fuel tank. In the rear, a newly designed step up seat comes with a side rail. The Avenger Street 180 comes only in 1 variant. Currently, it has no other cruiser in its price range. The nearest one is the Suzuki Intruder 150, which is priced Rs 15,000 more. However, the Intruder offers some modern looks and a better feature list. Barring the Suzuki cruiser, the other competition it receives is from the Royal Enfield bikes like the Classic 350, Electra and Thunderbird 350. However, the RE bikes cost a lot more than the Avenger. 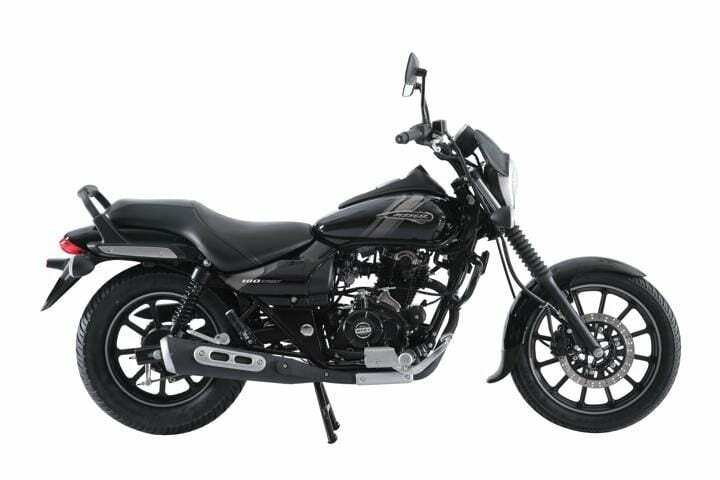 The Bajaj cruiser is the only one under Rs 1 Lakhs, which makes it more preferable. It still gives the old-school cruiser feeling, however with some outdated features. Stay Tuned to CarBlogIndia for more updates on the Bajaj Avenger Series. Click the notification button for more news on the upcoming cars and bikes in India.